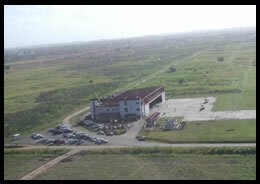 National Helicopter Services Limited (NHSL) formerly the Air Division (Helicopter Unit) of the Ministry of National Security, is a joint venture between the Government of Trinidad and Tobago (GOTT) as an 82% shareholder, and The National Gas Company of Trinidad and Tobago Limited (NGC) with 18% of the issued share capital. The Company was incorporated on October 3rd 1989 and commenced operations on February 1st 1990. It was continued under the Companies Act 1995 pursuant to Section 343 on April 14th 1998. NHSL was formed for the purpose of providing offshore helicopter services to the oil/gas sector and other commercial entities as well as continuance of services to Government, particularly in an Emergency or Disaster situation. The Company presently operates six (6) helicopters i.e. three (3) S76A++ and three (3) S76C++ from its main base at NHSL Heliport, Camden, Couva. We hold approx. US$6+ Mn of spares inventory and have a fast track system of sourcing components out of North America. 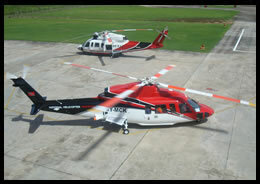 The Company owns and operates the only helipad in Port of Spain, located on the Audrey Jeffers (Foreshore) Highway. This is available to NHSL clients. The Company’s staff numbers approximately one hundred and forty (140), and includes Administrative and Accounting persons, Pilots, Licensed Aircraft Engineers, Aircraft Mechanics and ramp support personnel. There is a Pension Plan, Medical Plan, Workers Compensation, Pilots Loss of Licence, and Group Life Insurance, all provided by the Company. 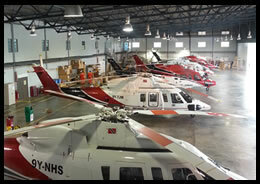 All of NHSL’s helicopters are registered in Trinidad and Tobago and the Company holds Air Operator’s Certificate No: 03. 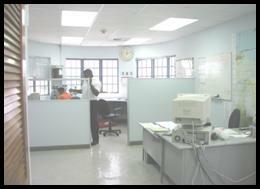 Our operations fall under the jurisdiction of the Trinidad & Tobago Civil Aviation Authority. Our records and procedures are audited periodically to ensure compliance with Regulations, that safe standards of maintenance and operations are maintained, and that all directives of the Manufacturers or Authorities are complied with. We are visited regularly by technical representatives of Sikorsky Helicopter Corp., Allison Turbine Engines, American Eurocopter Corporation and Turbomeca Engine Corporation. NHSL’s main base is situated at Camden, in Central Trinidad 35 minutes highway drive from Port of Spain, 15 minutes from San Fernando the ‘Southern Capital’, and 25 minutes from Piarco International Airport. The base consists of 28,000 sq. ft. of hangar space, 3,000 sq. ft. of offices; aircraft spares bond, workshops, classroom, operations & communications center, etc… All offices/workshops/stores are air-conditioned. There is a large ramp with lighted landing area, 1,500 ft of grassed flyway (reject area) 4 refueling stations and 80,000 litres of aviation fuel in two independent systems, electrical power standby generator and a 24-hour security presence, which monitors the offshore car park. The passenger check-in area consists of a check in counter with electronic scales, passenger seating lounge for up to 50 persons with TV/Satellite tv for entertainment, refreshment centre, baggage search area, washrooms. There is a sterile room with TV/DVD for up to 12 passengers to be seated and briefed prior to flight, and an outdoor area under a canopy with additional seating for up to 20 persons. 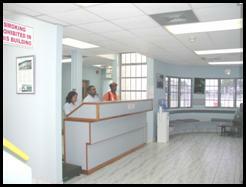 NHSL also has a Baggage X Ray and walk through Scanner Systems. Smoking is prohibited on the compound. Aircraft park positions on the ramp are marked with painted taxi lines and non-skid walkways are laid down where appropriate. Baggage trolleys with park brakes and a hydraulic life capable of 1200 lbs are in use.